The cattle tick is controlled by pesticides, invariably leading to the selection of resistant strains. In Brazil, this parasite is currently resistant to a greater or lesser extent to all the commercial pesticides used by cattle farmers. The antiparasitic drug most widely used to control cattle tick populations (as well as human parasites) is ivermectin, a broad-spectrum anthelmintic, acaricide, and insecticide. Brazil's commercial cattle herd totaled 217.7 million animals in 2017, according to the country's Ministry of Agriculture. In the same year, Brazil was the world's leading exporter of beef, shipping a total of US$6.28 billion. The numbers could be even higher if it were not for the huge annual economic loss caused by parasites. This loss is estimated to have reached at least US$13.9 billion in 2014. In other words, the damage caused by parasites in terms of mortality, weight loss, impaired fertility and reduced yield is more than double the value of the annual exports. The worst damage is caused by internal parasites, such as gastrointestinal worms, which cause losses amounting to US$7.1 billion (51% of the total). Next come external parasites, which live on the skin of cattle or visit them to feed. None does more damage than the southern cattle tick (Rhipicephalus (Boophilus) microplus), which accounts for annual losses amounting to US$3.2 billion (23.2%). The horn fly (Haematobia irritans) causes losses of US$2.5 billion (18.3%), while the damage done by the botfly (Dermatobia hominis), screw-worm fly (Cochliomyia hominivorax) and stable fly (Stomoxys calcitrans) amounts to US$1 billion (7.5%). 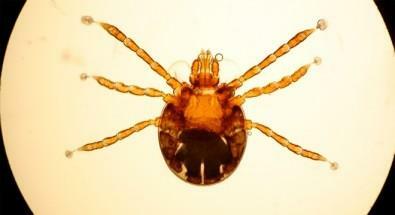 An article published recently in Scientific Reports describes a study in which Brazilian researchers affiliated with the Department of Genetics and Evolutionary Biology at the University of São Paulo's Bioscience Institute (IB-USP) and the Desidério Finamor Institute of Veterinary Research (IPVDF) in Eldorado do Sul (Rio Grande do Sul State) identified mechanisms of the cattle tick's resistance to ivermectin, one of the drugs most widely used to combat R. microplus. The research was supported by São Paulo Research Foundation – FAPESP and the National Council for Scientific and Technological Development (CNPq). "Infestation occurs when the tick feeds on the animal's blood, since as it does so it inoculates the animal with antihemostatic, anti-inflammatory and immunomodulatory substances contained in its saliva," said Tatiana Teixeira Torres, who conducted the study with geneticists Valéria Lis Le Gall and Guilherme Marcondes Klafke. According to Torres, these substances modify the host's physiology around the bite, causing loss of blood and a reduction in immunity and irritation. "The stress experienced by the animal owing to infestation leads it to stop feeding, lose weight and become less fertile," she told. "Ivermectin acts as an analogue of a neurotransmitter called GABA, found in vertebrates and invertebrates," Torres said. "In the case of the cattle tick, this neurotransmitter works by binding to and activating glutamate-gated chloride channel receptors, which are neuroreceptors exclusive to invertebrates. The drug acts at the molecular level, binding to the neuronal chloride channels at the neuromuscular junction and blocking neurotransmission, which paralyzes the insect's muscles and causes death." Ivermectin was discovered in 1975 and has been in commercial use since 1981. In the case of the cattle tick, this means countless generations of R. microplus have been exposed to the drug for over three decades, long enough for the insect to develop resistance to it. According to Torres, several mechanisms in R. microplus may be involved in its resistance to ivermectin, including the physiological capability to detoxify or tolerate toxicants. "The metabolic mechanisms of detoxification are mediated by enzyme families and by specific proteins, which have assumed this role via the mechanism of natural selection," she said. Ticks lacking these enzymes and proteins died in the presence of ivermectin, while ticks that produced the substances in question survived and produced more offspring, which formed the ivermectin-resistant strains. The enzyme families that mediate detoxification in the species, Torres explained, include cytochrome P450, esterases and glutathione-S-transferases (GSTs). "Other proteins, such as ABC transporters, also contribute to the detoxification process by transporting toxic substances to the exterior of cells via ATP consumption," said Torres, who conducted the study funded by FAPESP. Pesticide detoxification by means of an increase in the activity of cytochrome P450, esterases, GSTs and ABC transporters is well known in various groups of arthropods, including the cattle tick R. microplus. "In our study, we investigated the detoxification mechanisms at work in an ivermectin-resistant strain of R. microplus compared with a strain that is susceptible to the pesticide," Torres said. "We analyzed ivermectin detoxification in both strains using lethal time bioassays in the presence of inhibitors that block the enzymatic or transporter activity of the proteins studied, allowing the toxic effects of ivermectin to prevail and hence increasing the mortality rate." The aim of the study was to identify the proteins that play a key role in ivermectin detoxification in a multidrug-resistant cattle tick strain. To test the influence of these proteins on drug resistance, the researchers used specific inhibitors of each protein family and compared mortality rates resulting from treatment with ivermectin with or without the inhibitors. The inhibitors were substances capable of inducing alterations that prevent detoxification activity: piperonyl butoxide (PBO) for cytochrome P450, S,S,S-tributyl phosphorotrithioate (DEF) for esterases, diethyl maleate (DEM) for GSTs, and cyclosporin A (CsA) for ABC transporters. Two R. microplus strains were used in the bioassays. The susceptible strain was Mozo, originally from Uruguay and used in tests for diagnosing resistance in Latin America. It was maintained at IPVDF without any contact with acaricides. According to Torres, the ivermectin-resistant strain was Juarez, isolated in 2010 in the municipality of Jacareí, São Paulo State. It was originally collected from engorged female cattle ticks on a cattle farm where failure to control tick populations with ivermectin had been reported. Juarez is a multidrug-resistant strain with low mortality from other pesticides in addition to ivermectin, such as cypermethrin, amitraz, chlorpyriphos and fipronil. The study conducted at IB-USP was limited to ivermectin. Two separate batteries of lethal bioassays were performed. The first was designed to measure the lethal action of ivermectin alone on Mozo, the susceptible strain, and Juarez, the resistant strain. Approximately 100-150 tick larvae were placed in a paper packet, which was incubated for ten minutes in a solution containing ivermectin. According to Torres, when the packet was removed from the solution, mortality was measured by counting the percentage of larvae in each sample that died after a given exposure to ivermectin. This measurement was performed at 10 minutes, 2 hours, 3 hours, 4 hours, and 24 hours. "The results of the first battery of lethal time bioassays showed a clear difference in the response over time to treatment of the larvae with ivermectin alone," Torres said. "After four hours of exposure, all larvae of the susceptible strain [Mozo] had died, whereas the mortality rate among the larvae of the resistant strain [Juarez] had reached only 40%. This proportion remained constant 24 hours after exposure. The dose that killed the susceptible strain failed to kill the resistant strain." The second battery of bioassays again used the susceptible and resistant strains, but in this case, the lethal solution contained not only ivermectin but also one of the four inhibitors that block the action of the detoxifying enzymes and transporters. All four inhibitors were tested individually at five different concentrations ranging from 1.88 to 30 micromolar (μM) with the aim of determining the ideal (nontoxic) levels of the inhibitors in the absence of ivermectin. Once the highest non-lethal dose of each inhibitor had been found, they were used separately in combination with ivermectin to explore the role of proteins in drug resistance by means of their inhibition. For example, if an enzyme is responsible for ivermectin detoxification and leads to reduced mortality in the resistant tick strain, its inhibition will lead to increased mortality, which may reach a level similar to the mortality rate for the susceptible strain. The researchers found that inhibition of all four protein families raised mortality to different degrees. "Our results showed that ABC transporters played the most important role in the resistance displayed by the Juarez strain," Torres said. "When they were inhibited with cyclosporin A, the mortality rates were very similar to those observed in the susceptible strain. The use of other inhibitors [PBO, DEF and DEM] also led to higher mortality in the resistant strain, but the inhibited enzymes played a less important role in detoxification." During the lethal bioassays with the resistant strain (Juarez), the best results were obtained when the larvae were placed in a solution containing ivermectin and cyclosporin A (CsA) at 12 μM. After the resistant larvae were exposed to ivermectin alone, 40% died in four hours and the same proportion in 24 hours, whereas exposure to the pesticide plus CsA resulted in the death of 50% in 3 hours 20 minutes and approximately 100% in 24 hours. "Interestingly, the lethal time for 50% mortality in the resistant strain when exposed to ivermectin combined with CsA closely resembled the lethal time for 50% mortality in Mozo, the susceptible strain, when exposed to ivermectin alone, evidencing an almost complete reversal of the Juarez strain's resistant phenotype," Torres said. "The synergistic effect of CsA was demonstrated by a 60% increase in mortality in the strain exposed to the combination of ivermectin and CsA compared to that in the same strain exposed only to ivermectin after 24?hours." The results provide evidence of the action of detoxification mechanisms in ivermectin-resistant R. microplus, contributing to knowledge of the molecular basis underlying the ivermectin-resistant phenotype. "This knowledge can help us find new strategies to deal with resistance to ivermectin in the field," Torres said. "For example, the inhibitors we tested or other molecules with similar effects could be included in commercial formulations of ivermectin." The differences in the activities of the proteins studied could be caused by differences between the susceptible and resistant strains in the structure, sequence or expression of the genes that encode these proteins. As part of the same broader project, the researchers are now investigating substitutions in the encoding sequences for genes belonging to these four families, as well as alterations in the level of their expression. "This analysis will help us establish the causal relationships between gene function and metabolic resistance to ivermectin," Torres said.